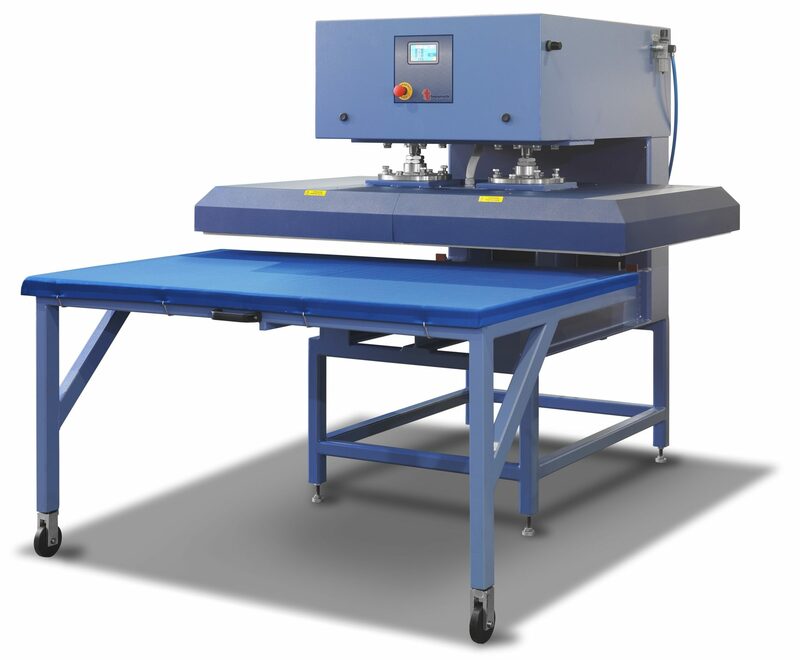 Upper heating press especially indicated for the sublimation on cloths or metal foils. Pressure can be easily regulated. Temperature is regulated exactly on the whole surface by 3 thermostats. The one table sliding system with its 3 open sides allows printing of long banners.